Kudankulam unit 2 went critical on July 10, 2016. 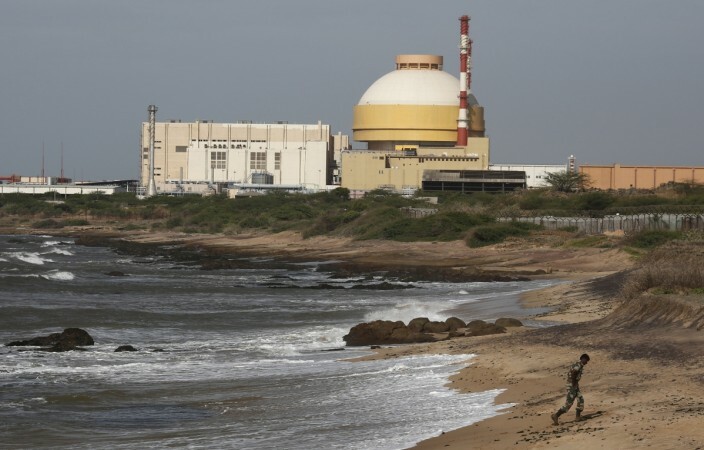 The Unit 2 (second reactor) of India's single largest nuclear power station, Kudankulam nuclear power plant in the southern state of Tamil Nadu, has reportedly reached the full capacity of 1000MW on Sunday. The unit reached 100 percent power level for the first time since it went critical on July 10, 2016, said Andrey Lebedev vice president of ASE Group South Asia in a statement, IANS reported. The ASE Group is a subsidiary of Rostom State Nuclear Energy Corporation, who have signed up to build the nuclear plant. The Kudankulam plant was built with Russian expertise and credit line and is poised to feed the increasing energy needs of southern India. After reaching the maximum capacity, further tests will be carried out on the Unit 2 of the nuclear power plant. "It is planned to perform comprehensive dynamic tests for 15 days, which will confirm the design parameters of the power unit main system and its dynamic stability in certain modes of disturbance of normal operation," said Lebedev. Unit 2 was connected to the southern grid on August 29, 2016. The Nuclear Power Corp of India (NPCIL), operators of Kudankulam plant have clarified that the Unit 2 was "behaving exceptionally well." The report also noted that the Unit 1 will be restarted by January 30. R.S.Sundar, the KNPP Site Director, told IANS that the reactor can reach its peak power generation of 1,000MW in three day's time. In February 2016, Russia and India held a grand ceremony for the construction of Unit 3 and 4. The construction work on these reactors started in October 2016. The two units cost about Rs 40,000 crore, reports noted. The nuclear reactors for unit 3 and 4 are expected to be delivered by Rosatom between 2016 and 2018. Moscow and New Delhi have also signed a Memorandum of Understanding (MoU) for Unit 5 and Unit 6, thus continuing the Russian help in building civilian nuclear reactors for the growing energy needs.